So, you’re staying in Waikiki during your Hawaii vacation and you’re looking to get away for a day trip on another part of Oahu. Where should you go?! 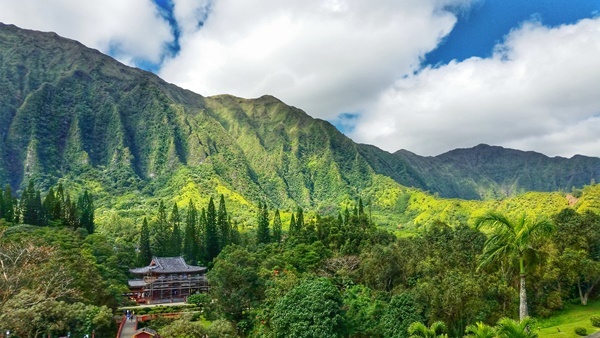 Well, if you look to the east of Waikiki, you will find a number of activities that can be worth your while if you like hiking, beaches, snorkeling, and nature! 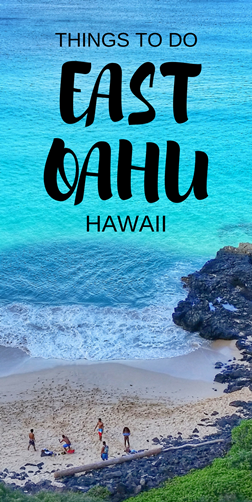 And, if you’ve chosen Hawaii as your vacation destination, there’s a good chance that you like at least one of those things… which means you just may find something you like on East Oahu! 😉 Most are free things to do, but a couple are paid activities. When you hear reference to windward Oahu, that’s referring to the east side of Oahu. If you hear leeward Oahu, that’s the west side of Oahu. This list goes pretty much south to north along the east coast. This is the direction you’d be going when you’re coming from Waikiki to East Oahu following the southern coast. It would be unreasonable to try to do all of these activities in a single day even if you’re ambitious, but many of these locations have opportunities for scenic overlooks nearby if you’re in the area. 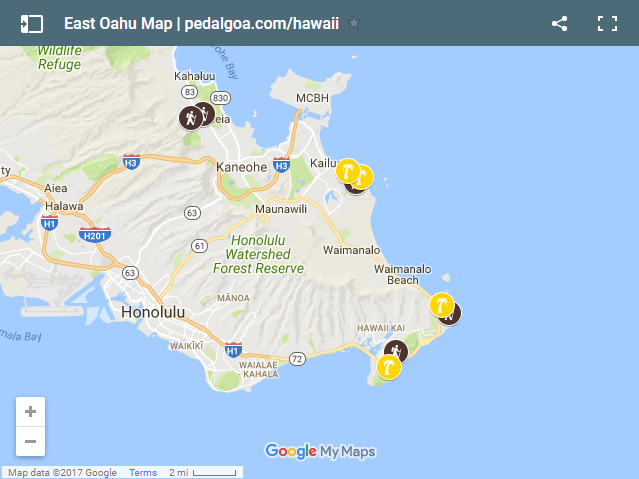 Here is a map of East Oahu to explore! These types of maps are best explored from a computer. But if you are arriving from Pinterest on mobile, first open this page up in your web browser, and then click on the map! This is a popular hiking trail on Oahu among fitness enthusiasts. 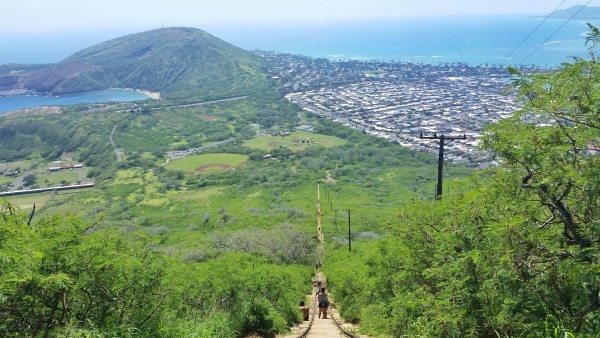 Even if you’re in good shape, the Koko Head Hike will give you a good workout! It is pretty much a straight climb up a set of stairs to reach the summit. And when you reach the summit, the views will be great! This is a pretty convenient hike to get to from Waikiki by bus. 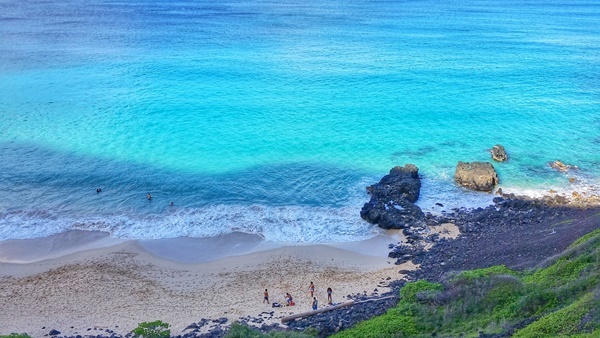 This is one of the most famous snorkeling spots in Oahu. It is 1 of 3 marine life conservation districts on the island which means that it’s a protected area. 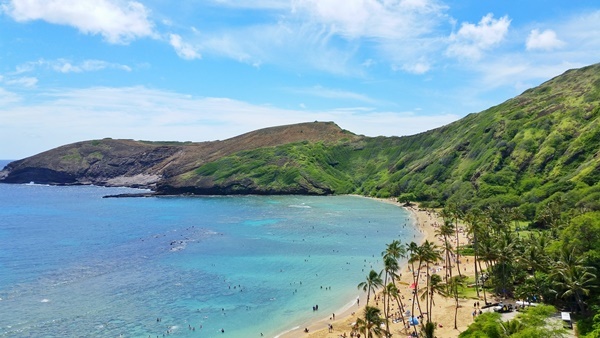 Hanauma Bay does have an admission fee. This is another place that can be easy to get to by bus from Waikiki. If you’re on Oahu during whale season, the Makapuu Lighthouse Trail is a good spot to try and catch a glimpse of a whale if you don’t want to go on a whale watching tour. Whether or not it’s whale season, this paved hiking trail will give you amazing coastal views pretty much the entire time you’re on the path. 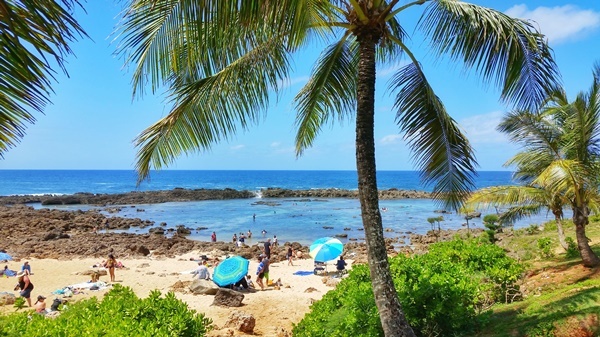 Many people pass by Makapuu Beach on a circle island driving tour, but not as many people stop to enjoy the beach here. This beach is known to be good for boogie boarding because of the powerful waves. But that also means that being in the water here comes with increased risk, so be careful! 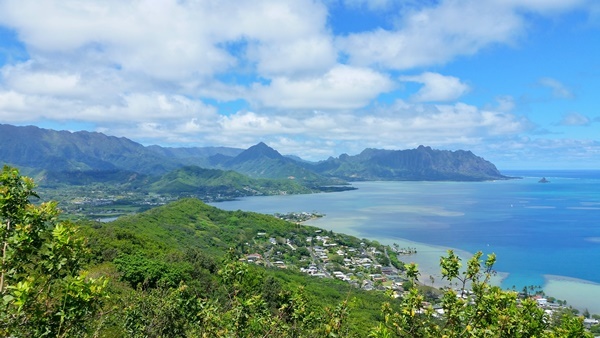 Lanikai is where you can go to get views of the Mokulua Islands that you may have seen in pictures. 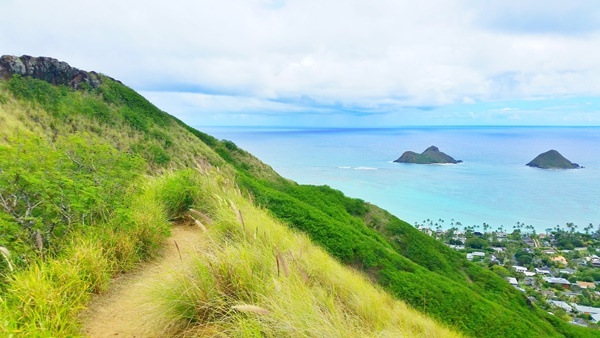 The Lanikai Pillbox Hike is a popular hiking trail because of the coastal views you get when you reach the pillboxes at the top. You have the option of making this a shorter hike (the popular option), and you can also make it into a longer hike by hiking the full ridge trail. This beach is famous for its white sand beach, and it’s been named one of the best beaches in the world. You get the view of those famous Mokulua Islands from sea level. A trip to this beach also gets you on a white sand beach. 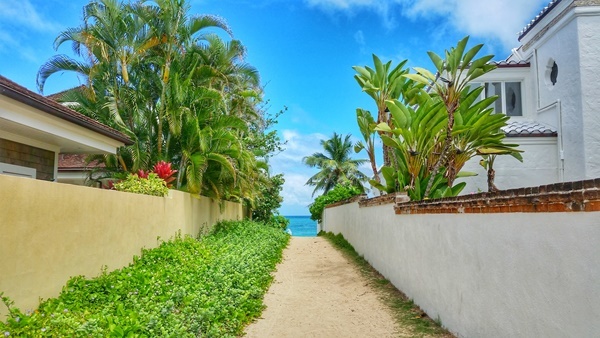 Kailua Beach is just down the street from Lanikai Beach, about a 15-20 minute walk. 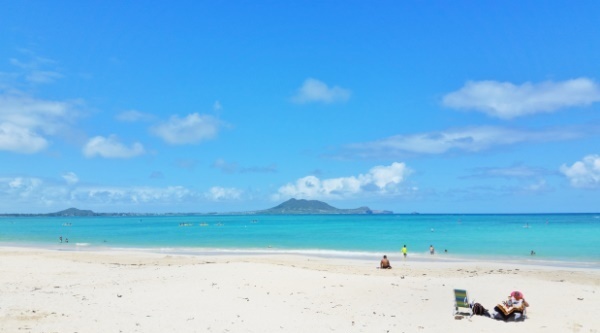 Kailua Beach is a proper beach park which means it has beach facilities and a lifeguard on duty. The town of Kailua is the main town in the area. This is also the area that President Obama and family would stay during their Hawaii vacation. This is a less frequented hiking trail by tourists. But the views at the summit of the Puu Maelieli Trail are worth putting this hike on your list of considerations of things to do on the east side of Oahu. This temple is located in the Valley of the Temples with the scenic mountain range backdrop. It’s just across the street from the Puu Maelieli Trail. You can consider a trip to Byodo-In Temple to be somewhat of a nature walk, and it represents a part of the Japanese culture in Hawaii. There is a small fee to enter the temple grounds. After you’ve gone past Byodo-In Temple coming from Kailua, if you keep going north following the coastal path, you’ll reach the North Shore! 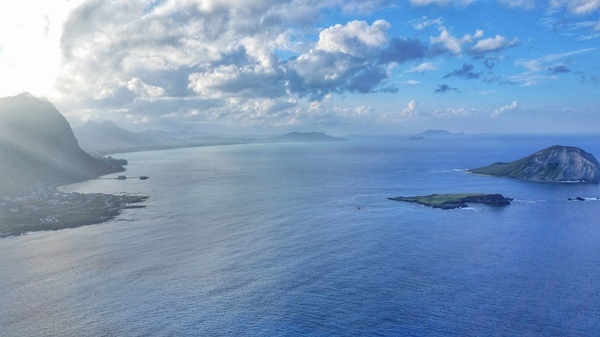 So next, continue on your circle island tour, and find some things to do on the North Shore!